It can be a tuff gig for Council staff to spread the news far and wide that it is time again to recognise those unsung volunteer heroes that work tirelessly in our community. Please forward this good news announcement to your contacts in the Huon Valley and consider nominating someone in your town. 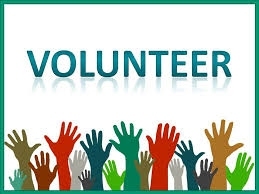 Do you know people out in our community who are VOLUNTEERS? Why not nominate them for the 2108 Volunteer Service Awards. Nominations close Friday 4 May 2018 at 5pm.